Halloween is coming soon! 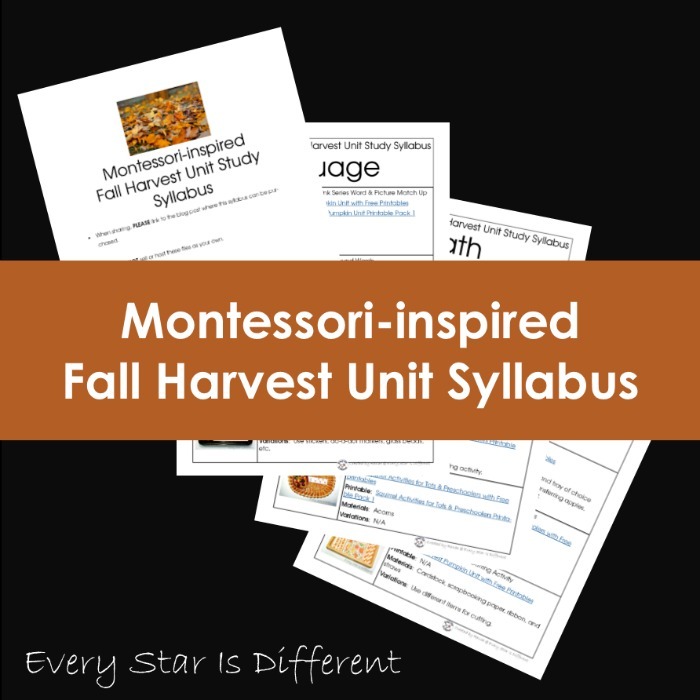 In honor of the big event, as part of our month long Fall Harvest study, we're having a Halloween Unit! The kiddos are super excited. I always am in awe at how little pictures of things they love make or break an activity. I could present the same activities without the Halloween themed pictures and chances are they wouldn't touch it. Inside the cauldron are green glass beads. The kiddos place the beads on the correct first letter that corresponds with the pictures on each card. We haven't done these in a while, so it's been a great review. Source: This activity was part of a free printable pack found at 3Dinosaurs.com. 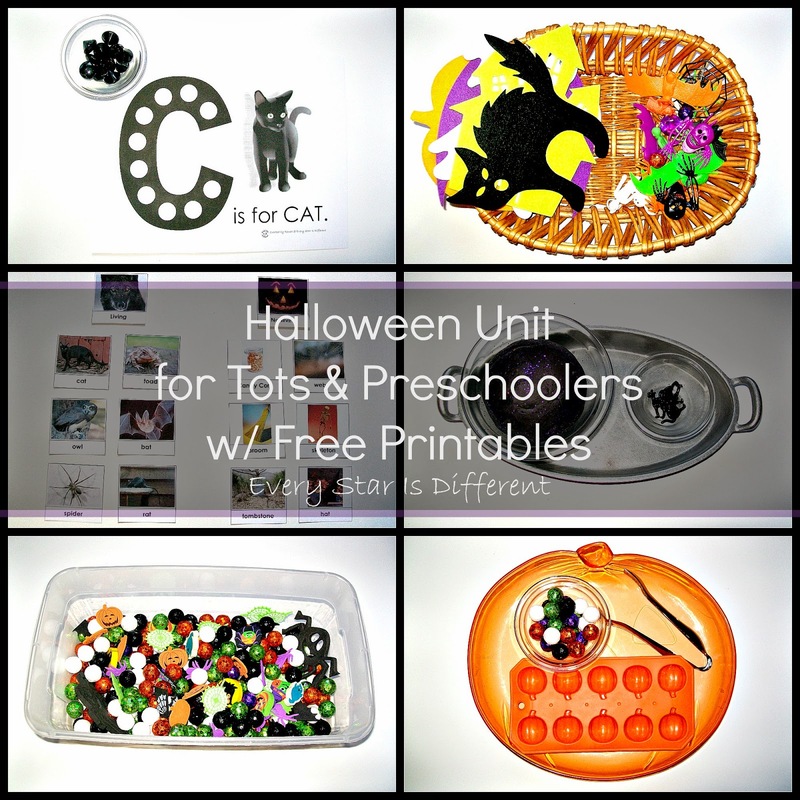 The kiddos are super excited this week to use our homemade moveable alphabet to spell Halloween themed words. I chose very simple words because Dinomite has been struggling lately. If he deems anything too difficult, he won't touch it. This is an activity I created last year for the kiddos. I was super excited to pull it out again. As I presented the activity we played Bingo. When the children do their self directed work, they'll match up the pictures to the words. That is unless they decide to partner up with someone. Source: I create the printable for this activity. It is part of a packet I created last year at this time. The packet was not designed to be shared with others. I was trying to use as much space as possible on each page, and the least amount of paper possible. You are more than welcome to use this packet for free, (Click HERE.) I just wanted to warn you before you saw it. Lol. I created these cards. They are also part of my Halloween Packet from last year. For your free copy, click HERE. The kiddos will read the clue cards and match them up with the pictures provided. If they can't read the words themselves, the cards will be read to them. We already did this once today and Dinomite was able to read all of the words but a couple on his own. 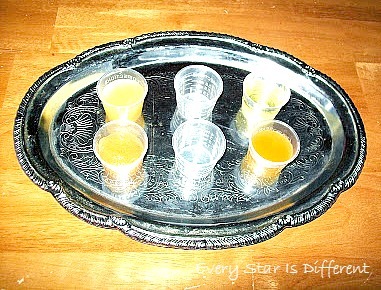 Source: This activity is part of a printable pack at 3Dinosaurs.com. Who doesn't like completing patterns? The kidddos loved this activity. 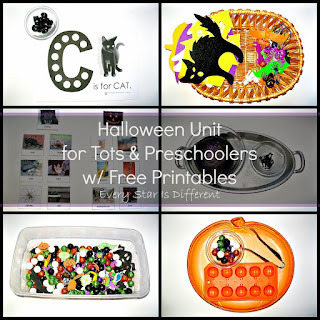 Source: I created the printable for this activity as part of last year's Halloween Pack. For your free copy, click HERE. The kiddos have been working on counting by 5s this month. This activity was designed to help them practice using orange bead bars in celebration for Halloween. Source: I created this activity. It's also part of my Halloween Packet from last year. For you free copy, click HERE. This is yet another activity where the theme is everything. Identifying odd and even numbers is another goal of the month for all three kiddos. The kiddos will sort the numbers into their categories of odd or even. 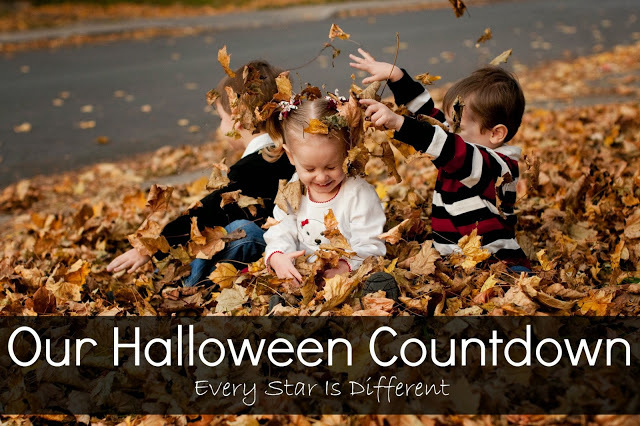 Halloween ring counters have been added as a control, in case the kiddos need help. 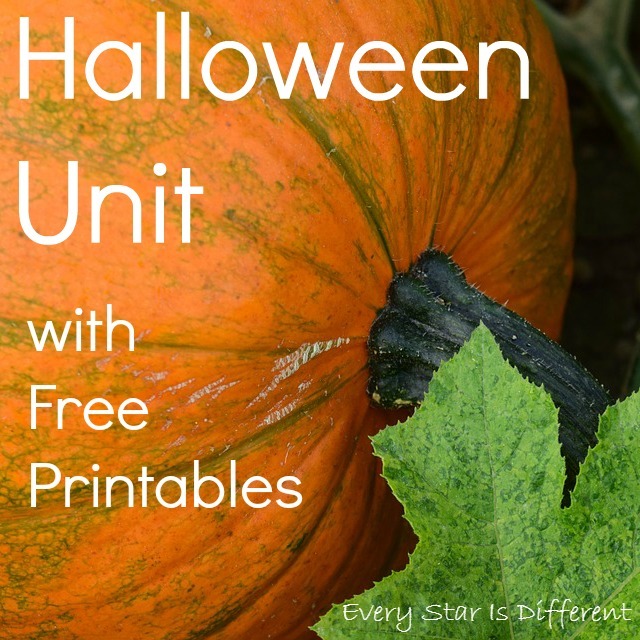 Source: I created the printable for this activity as part of the Halloween Pack I created last year. For your free copy, click HERE. The kiddos will write in the missing numbers as they count by 2s to 30. The black pipe cleaner with beads is designed to be used as a control while counting. Source: I created this activity. For your free copy, click HERE. Halloween is always a great time to study the body. We've spent a significant amount of time studying the Circulatory System, Immune System & Hygiene, and the Reproductive System in the past. However the kiddos are unfamiliar with other systems in the body. I figured this would be a great intro activity for them. I'm only introducing seven of the eleven systems shown in the printable, but still, for them I think that's a lot. 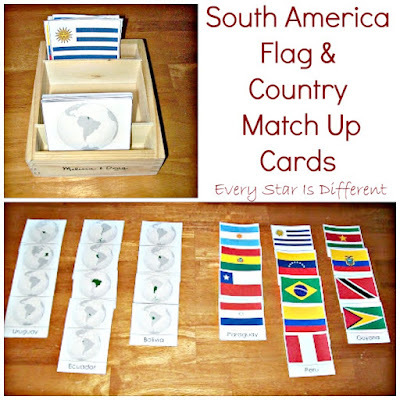 The kiddos will match up the cards with manipulatives that represent each system. The kiddos are very intrigued by skeletons. They think they are the coolest things. I thought it might be fun for them to make a book of their own with all the different parts. They loved the process! 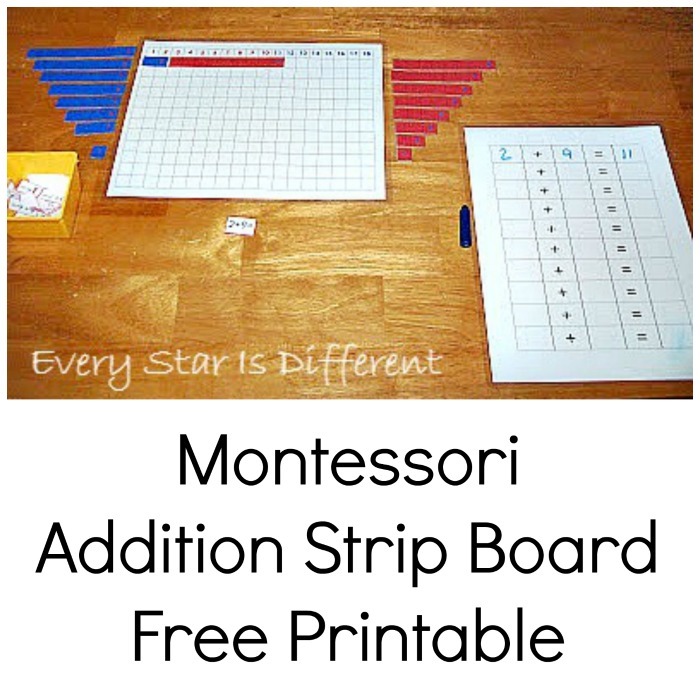 Source: These free printable for this activity can be found at Montessori Workjobs. I could have gone through and made my own little cards or match up spider printable, but I am not a fan of spiders. Just looking for an activity about spiders in general was enough to make me gag. Dinomite on the other hand LOVES them and could not wait to get his hands on this activity. I liked this match up activity, because not only were the kids learning the difference between different spiders, but they were also learning the danger risks of each kind of spider. Basically all I did was take two of these charts, cut up one into individual spider pieces, and have the kiddos use the other to match them up. Source: This chart can be found at www.termite.com. I found all of these stamps last year on clearance after Halloween for $0.25 each. I've combined them with black and orange stamp pads and paper. I'm sure the kiddos will have fun. Dinomite has just started requesting colored pencils when he uses stamps so he can color them in. They are not shown, but will be provided if he asks. 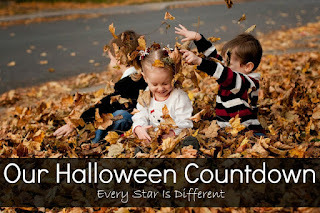 The kiddos have been asking about their Halloween Sensory Bin for at least a month now. They remembered it from last year. Already it's a favorite on the shelf. I've had this idea in my mind for a while, but was trying to find the perfect time to use it. Bulldozer would not let me use any of his marbles. They're too special to him. In September I found these adorable spider bouncy balls. I knew they would work perfectly. There are several steps to this activity. The kiddos will first break off pieces of pumpkin pie scented play dough, roll them into balls and place them in the molds. They will then place golf tees in each of the balls of play dough. To finish they will place the balls on top of the golf tees in a pattern of their choosing. Bulldozer was very intrigued with this activity. 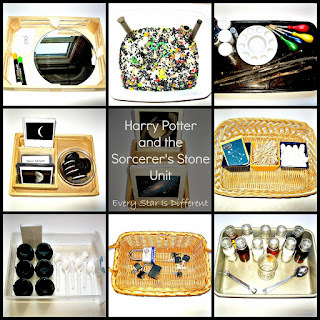 Source: This activity was inspired by an activity at Living Montessori Now. We've done this activity once before, using hearts for Valentine's Day. It was a definite favorite yet quite challenging at the same time. Sadly, after three days the hole punch broke. This time I made sure to purchase 2 (only a $1 each). I am using construction paper instead of card stock. The little cauldron is for all the paper spiders that will result. Who doesn't like poppers? I figure they're a great fine motor activity that strengthens fingers and hands as the kiddos have to turn the poppers inside out etc., to get them to pop. They've been having some serious fun with them. I had more elaborate plans for my eyeballs but frankly, I ran out of energy to put it all together. The kiddos will use tongs to remove the eyeballs from the water and place them on the tray. All kiddos will receive prompts to use only one hand while using the tongs. The kiddos will use tweezers to transfer each spider to the other cauldron. 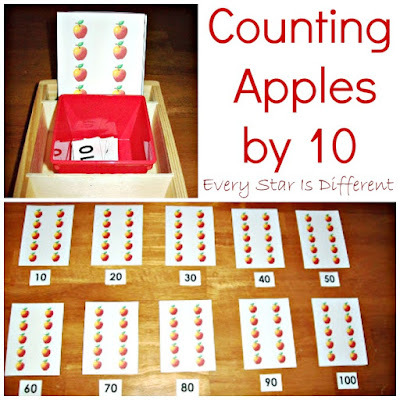 Source: Inspiration for this activity and a few other math activities in this post came from Counting Coconuts. 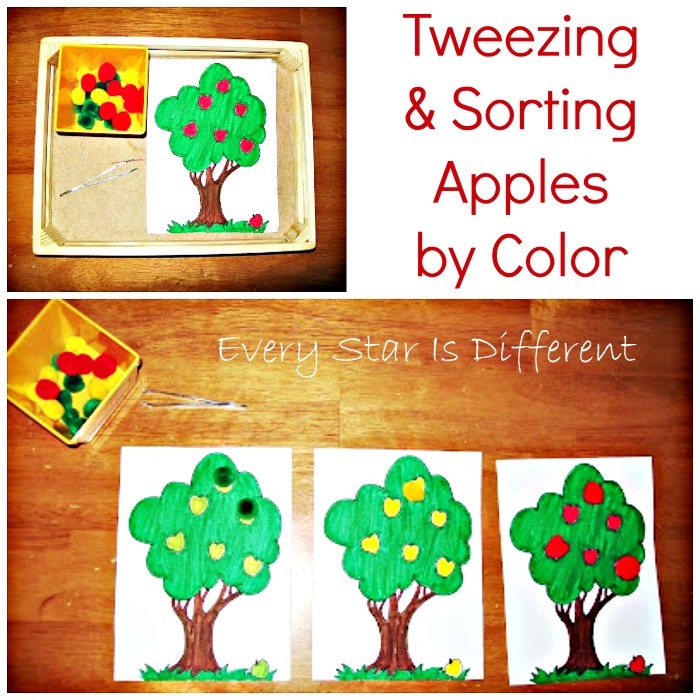 This activity was a pleasant surprise for the kiddos. Technically it's just another pouring activity. However, inside the cauldrons is 1 tsp. of baking soda and a few drops of food coloring in various colors. It's their job to pour vinegar into the cauldrons. They were definitely surprised and then delighted! We wish you a very Happy and Safe Halloween, for all those celebrating! If you enjoyed this post, you may also enjoy the ones below! I have felt impressed several times over the past week to prepare my family for emergencies and financial struggles. Our income is never as secure as we think it is, and we've felt that. Our city had a tornado warning, which never happens here. A dear friend stepped outside to find a forest fire headed straight for her home, with only 10 minutes to evacuate. 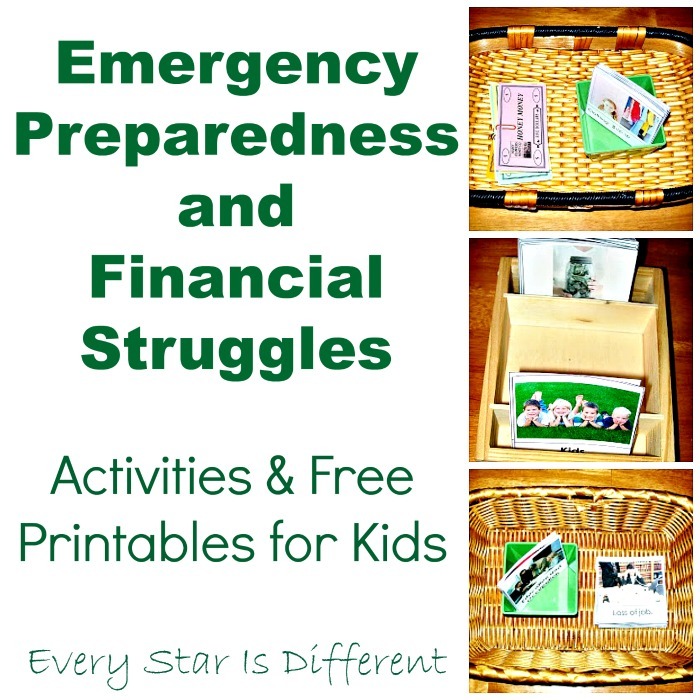 Preparing children for an emergency and/or financial struggles is easier said than done though. We had our 72 Hour Emergency Kit ready last year when we left our home because of Hurricane Sandy. It contained everything we didn't need, and was missing several things we did need. As I contemplated on how to kick start our emergency preparedness and financial studies for kids unit, I felt it was important to start from the beginning. 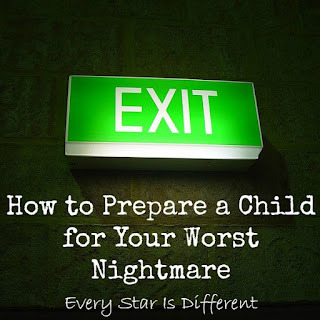 Our kiddos have significant anxieties. Preparing for disasters and money difficulties is stressful enough, but add those anxieties and it can be lethal. Here's how we taught our children about these sensitive subjects! The kiddos are fabulous when it comes to not asking for toys etc. They have wish lists that grandparents use to buy their Christmas and birthday presents. Whenever they see something they really want, they add it to the list. However when it comes to wanting pizza or going to the play museum, the kiddos have a pretty hard time understanding why we can't go when they want to. This is why we decided to teach them about budgeting. We used our own family budget, presented on cards with pictures, so they could understand, and monopoly money. Since my kiddos are little, I decided to round everything to the nearest five dollar, ten dollar, hundred, etc. We started with necessities, and then worked our way through the budget. Then wouldn't you know it, we had a house repair that needed to happen etc. In the end, there was very little money left for things they wanted. To my pleasant surprise, the kiddos understood all of the concepts I presented. They even chose to donate their money to the poor, instead of going to get pizza to eat when all was said and done. Adults are all too aware of circumstances that are out of their control, especially ones that have a direct effect on their safety, well being, and finances. No matter how well we budget, life just happens. I created this activity in a way that I could explain all of those "Out of My Control" scenarios. There were a couple that were over their heads, but for the most part the kiddos understood. The cards provided great opportunity for discussion and questions. We had such fabulous time. The object of the activity was to have each kiddo separate all of the cards by theme. Once again, they did such a fabulous job. The discussions were amazing. We talked about how each event or circumstance would effect us, what we could do to prepare for it, what we could do in the moment it happened etc. 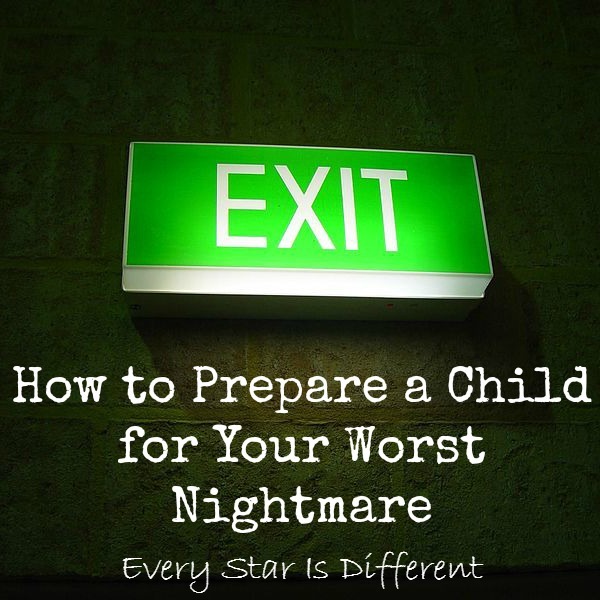 In times of financial struggles and emergency hardships, it's hard for kiddos to understand what their role might be. Parents are stressed. There can easily be tension, and there are just so many different emotions. 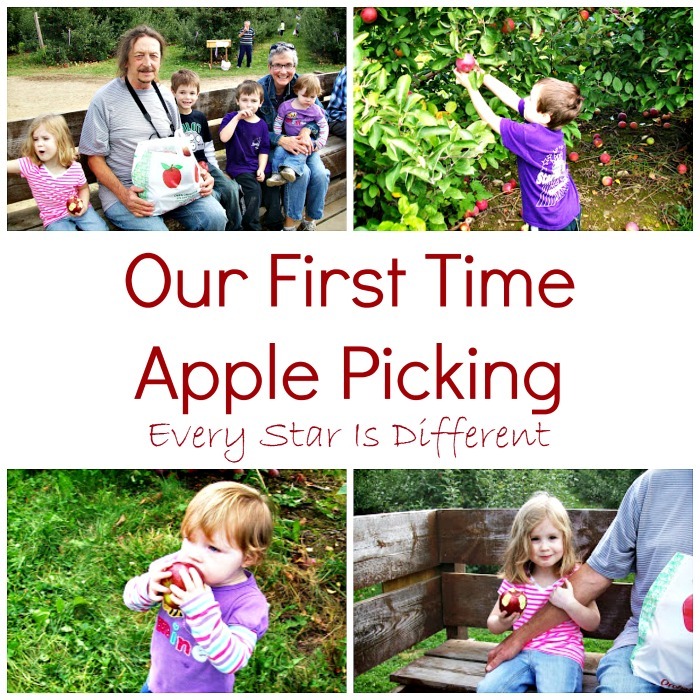 The object of the activity was to separate the roles and responsibilities of family members into the three categories, so the kiddos knew exactly what's expected of them during these times, and exactly what is expected of everyone else. 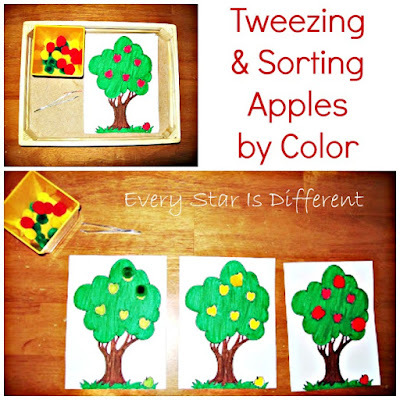 Princess really liked this activity! Source: I created printable for this activity. For your free copy, click HERE. This experience has been absolutely incredible for our family. I was worried that anxieties would become unmanageable, but they didn't. The activities provided them with the hands on visual support and understanding they needed, in order to participate in creating a emergency preparedness and financial struggles family plan that meets everyone's needs. If you enjoyed this post, you may also enjoy the post below. At the beginning of the school year our kiddos were enrolled in numerous extra curricular activities. Dinomite was taking a gymnastics class, participating in a bowling league, and was getting ready to start swimming classes soon. Bulldozer was taking tennis lessons, swimming lessons, and participating in a bowling league. Princess was taking gymnastics and dance classes. She was about to be enrolled in karate class as well. Sunshine has physical therapy once a week. She was about to be enrolled in swim classes for tots and gymnastics. Part of the reason for all the extra curricular activities was to ensure my kiddos were being social. 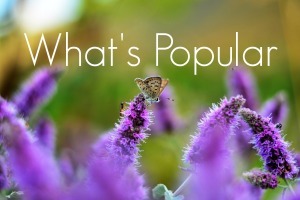 After all, how many people comment on the lack of social skills homeschoolers have? Not that their claims are true, but I didn't like hearing the comments. Another reason for the extra curricular activities was to fulfill P.E. hours our district requires. Mind you they were getting in far more than they needed to. After a month of trying to balance all of these activities, despite homeschooling, I realized a few things. We were never home. There was no family time. I was exhausted. Our house was trashed. My husband and I weren't getting any exercise because we were running the kids everywhere and sitting in a waiting area. Our big fun plans for the kiddos weren't working. How did we end up enrolling them in so many activities? Our city has fabulous options for kiddos with special needs. There is a sports center just out of town that offers unlimited activities to special needs kiddos for just $5 a month. They offer tennis, gymnastics, soccer, martial arts, and so much more. Our local YMCA offers free swimming lessons to all 7 year olds. An entire year free! We didn't want to pass up such fabulous opportunities. All of them sounded so good. 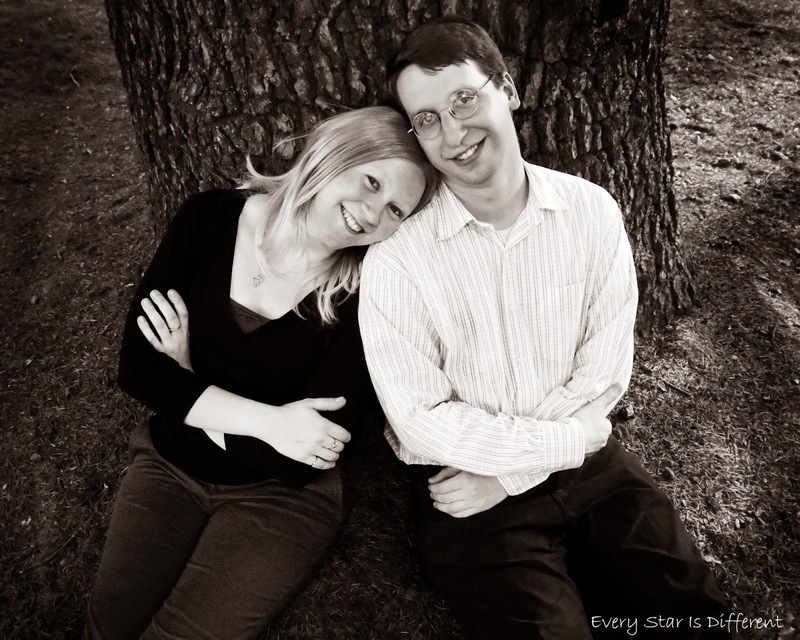 Over the past two weeks, my husband and I pondered, and prayed, and studied, trying to figure out what we should do. There are many good things in life. But then one must decide what's better and best for their family and self. We decided to stop all extra curricular activities. Surprisingly the kiddos weren't at all upset. In fact Princess, in particular, is doing fabulous since the change. Instead of extra curricular activities, we're planning play dates and family fun activities. Instead of watching kiddos exercise from a distance, we're all exercising together! All of us are loving it. It didn't come easy at first though. Finding fun activities that the entire family could participate in for physical education requirements was challenging. It took a few days, but I was able to make a list of 24 different activities all of us could do in the comfort of our own home. I didn't want to have the activities be dependent on the weather. I didn't want to have to load everyone up in the car and go to the gym or anywhere else for that matter. We have enough space in our living room if we move the ottoman, and voila! We are all becoming more healthy together! What are we doing? Here's the list! 1. Play Hide N Seek-Use the whole house or just one floor, it depends on the ages of the kiddos. I gave up on the no running in the house rule a long time ago. Perhaps it's because my first two children were boys, one very sensory seeking. 2. Have a Dance Party-It doesn't matter what kind of music, create a free Pandora Station and dance the time away. Believe me, you'll sweat! 3. Animal Movement Races-If you don't have a large area, plan a route for the race through a few rooms in your home. The crab walk is always a great one to start with, add slithering like a snake, frog jumping, a bunny hop, etc. Let the kids call out which animal to be next. 4. Create an Obstacle Course-Use couch cushions, tables, blankets, etc., whatever you can find. One of the activities could even be doing the army crawl underneath the bed to the other side. 5. Circus Games-There are so many to choose from. You could juggle, do a ring toss, target practice, etc. 6. Balloon Games-Try to keep the balloon up in the air with your head, your feet, your shoulder, while doing the crab walk, etc. Play volleyball using a balloon, or any number of games. The balloon is soft and gentle enough it won't break a window. 7. Follow the Leader-Give every kiddo a turn. Go through the whole house. Have the parent start first so they understand all the physical movements they have as options. 8. Hula Hoop Activities-What a blast! We did this Monday. How many things can you think of doing with a hula hoop? We practiced jumping, holding it with our toes, climbing through it, the typical games, etc. My husband can't wait to do this again. Lol. 9. Rope Activities-Grab a jump rope or two. How many ways can you use it. What skills can you practice? You'll definitely be working hard. 11. Gymnastics-If the floor is too hard, grab a mattress off one of the kid's beds. Practice forward rolls, backward rolls, stretches, head stands, and even cart wheels if you have enough room in your house. 12. Yoga-Our library has fabulous yoga books for kids and adults. Check one out, learn the poses and take your kiddos through all of them. My kiddos really enjoy this. 13. Relay Races-Clear a space, practice the wheel barrow race, the three legged race, etc. Wheel barrow walking provides such great muscle strengthening and sensory input. Again if you don't have enough space in one room, mark out the track you want them to follow using several rooms. 14. Bowling-You don't have to have a bowling set. Make one. It can be as simple as soda bottles or cans. Grab a ball and go! Have a family game or two. Keep score. 15. Pillow Fight-Boxing is a little rough, but having a pillow fight, with a few rules, is the ultimate fun for any kiddo (and adult)! 16. Go for a Walk-This is the only activity on the list that requires you to go outdoors. I figure unless there is thunder and lightning, high winds, or a blizzard, it should be possible. We have the kiddos go a on a themed scavenger hunt at the same time so they're focused on that, rather than the walk. 17. Sports Charades-Write down as many types of sports as you can. Create teams. Have the kiddos act each one out. Make it more difficult by using a famous player, team, etc. for older kids. 18. Table Top Games-Try Ping Pong, Shuffle Caps, Three Penny Hockey, etc. Your dining room table will work perfect. If you don't have a net, just draw a line with a white board marker or use tape that can be easily removed. 19. Sock Wars-Make a line in the middle of the room. Place several rolled up socks on the line. Separate into two teams, one on each side of the line. Then, throw socks to your heart's content until the timer goes off. See who has less socks on their side. Play a few rounds. Tons of fun! 20. Twister-If you don't have the board game, use colored clothes, paper plates, or just plain colored paper for that matter. If you don't have a spinner, make little folded up pieces of paper that can be drawn to be given for directions. Make it as simple or as difficult as the ages permit. 21. Balancing Activities-Practice walking across the room with a book on your head. Put an egg (plastic) on a spoon. Try the penguin walk. Then of course there's the balance beam and more. Just use tape on carpet, or a white board marker on the kitchen floor. 22. 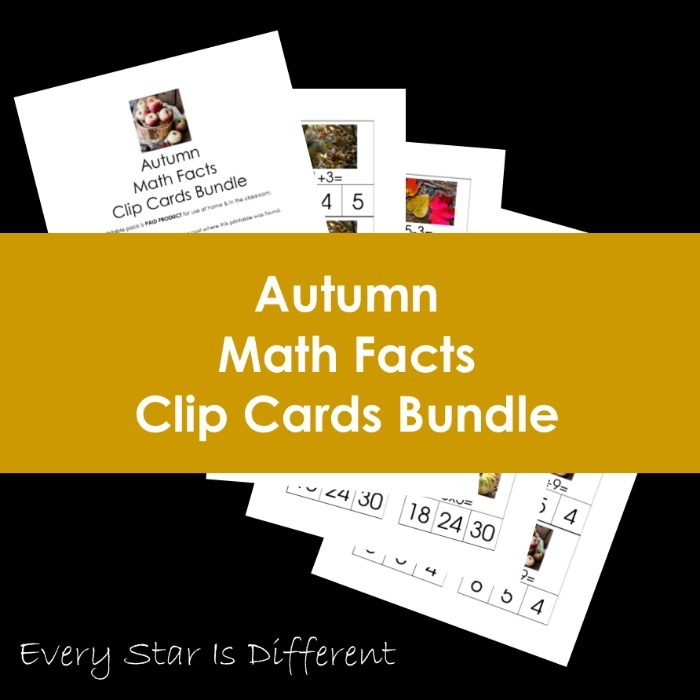 ABC Exercise Cards-There are many option to choose from. I personally love the ones from Chasing Cheerios. Grab a couple of dice and roll them to determine how many seconds you'll hold the pose or how many times you'll repeat the exercise. 23. Parachute Activities-Grab a flat sheet from the closet and go to town. Add items, take away items. Practice going under, etc. It's amazing what one can do with a sheet. 24. Sports Jeopardy-This isn't an activity that will get your heart rate up, but it's part of physical fitness. I figure once in a while, it should be a lot of fun, as we learn about different sports, especially during the Olympic season. I'll be back soon with our latest learning time activities. 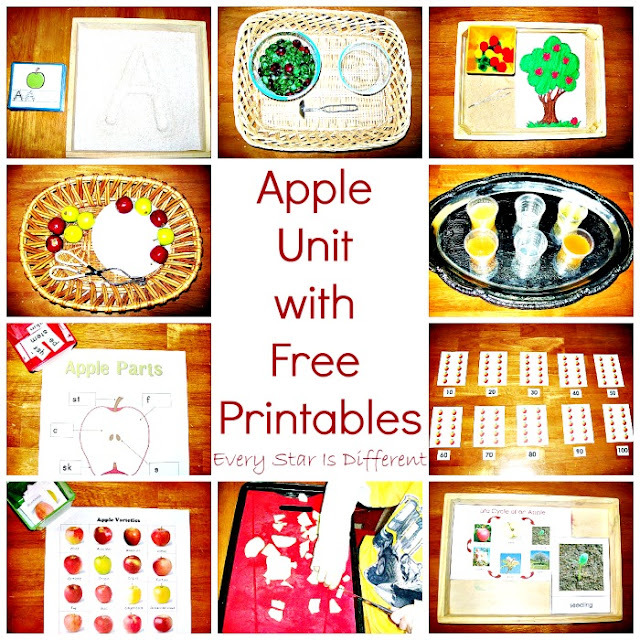 We've had so many fun activities out of the classroom that we continued with our apple theme for two weeks. Then, just as I planned on moving forward with pumpkins and Halloween, I felt impressed we needed to learn about something else. I love the flexibility homeschooling provides! 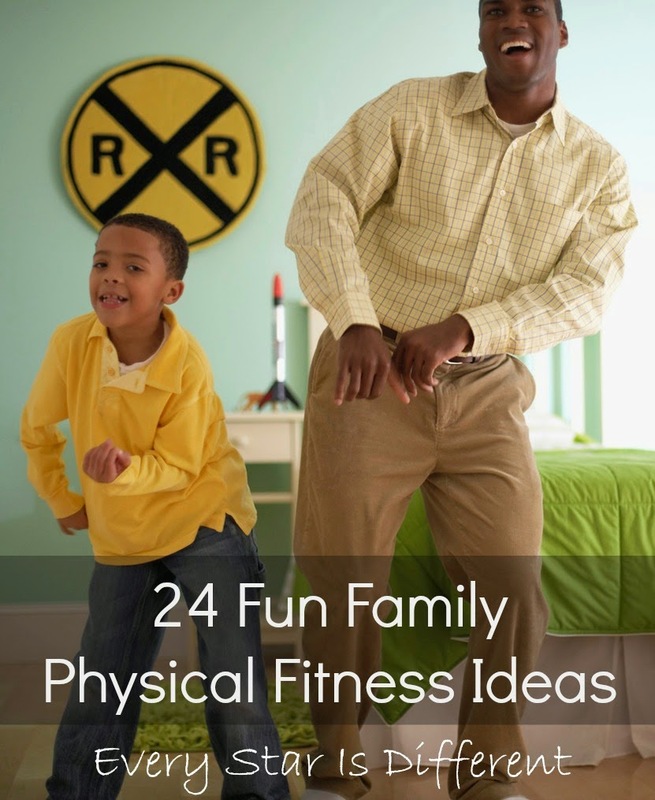 If you have any other family physical fitness ideas, please share in comments. I always love adding variety! Sunshine is so anxious to learn just like her older brothers and sisters. For that reason we're attempting tot school. 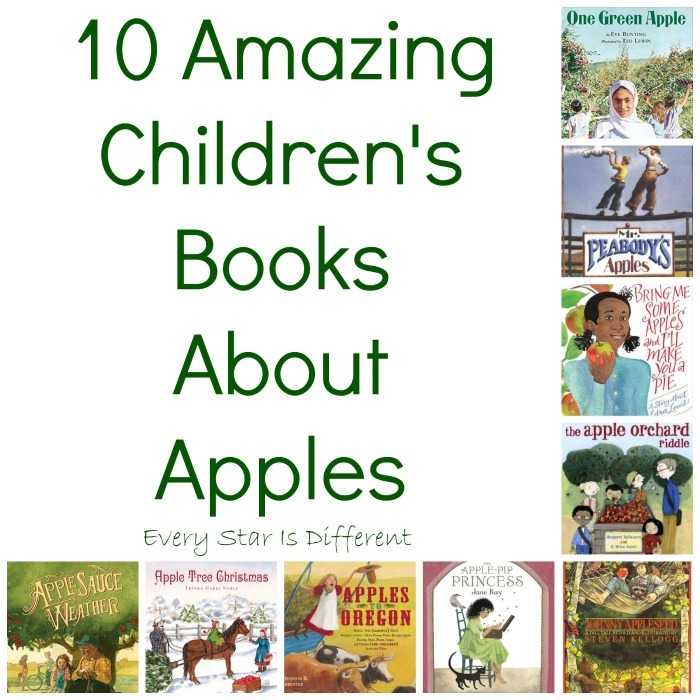 This week's theme is apples. If you're looking to have your own apple themed tot school, you may enjoy these activities. I thought this was the cutest idea when I saw it. Sunshine will use the Q-tips and red paint provided to fill in the dots on the A is for apple page. She can also use her fingers and finger paint as well. Source: I found this free printable at 1+1+1=1. Sunshine loves using markers. She begs for them when her siblings have them. I thought this was a cute introductory activity for her. I'm not so sure she understood what to do, but she still enjoyed herself. Source: I found this free printable at The Intentional Momma. 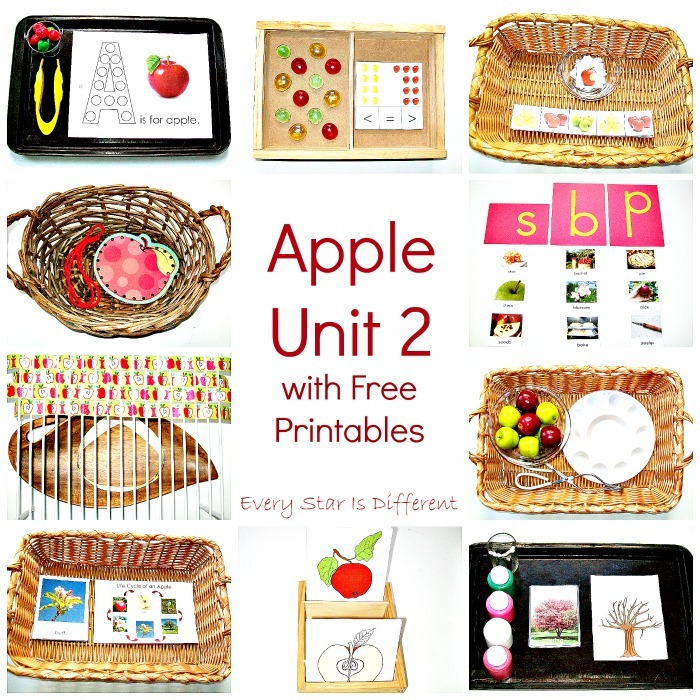 An apple unit wouldn't be the same without apple printing. Sunshine wasn't the biggest fan of it, but she did ask to do it twice. I'm hoping I can help her be okay with paint on her hands sooner than later. Sunshine doesn't quite know what to think about sensory bins yet. She really struggled with the rice today. I did teach her how to stir the rice with the cinnamon stick and she liked that. It's so funny how each kiddo is so different. The boys LOVE sensory bins, especially rice. She's the opposite. Putting things in and out of containers is Sunshine's FAVORITE thing to do, next to opening and closing containers. 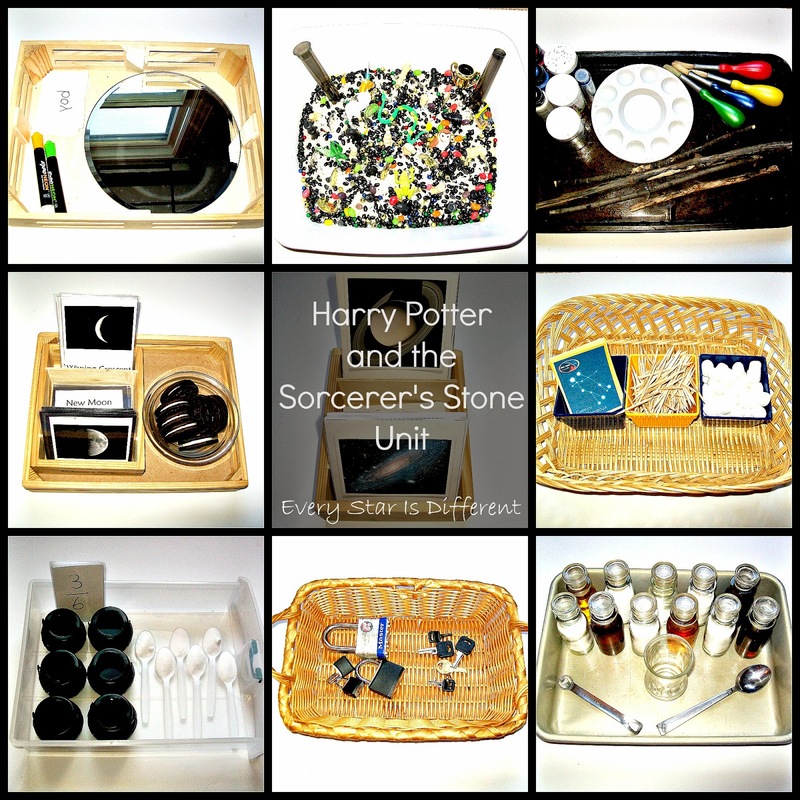 She did a fabulous job with this activity. All I used was a wipes container and large pom poms. 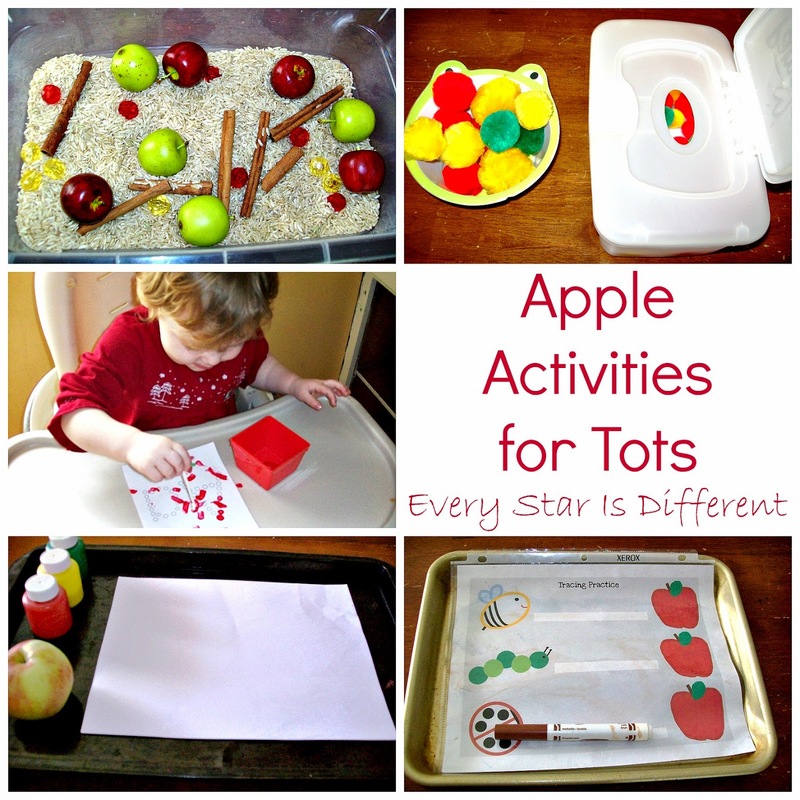 Though Sunshine wasn't quite sure what to do with some of her apple activities, she enjoyed herself. She felt like her big brothers and sister. We hope to continue with tot school as long as time permits! If you enjoyed this post, you may also enjoy these ones as well!